SKINCUBE WORLD > News > Uncategorized > NEW HORROR COMICS! Horror comics galore! I’ve updated the Comics section with a BRAND NEW piece called WE NEVER FIGHT BACK. And, if you’re a fan of my older work, all those comics have been uploaded too. Family, the Skincube series, Shapeshifter, and a whole lot more. Just remember not to read HOLE in front of your mom! 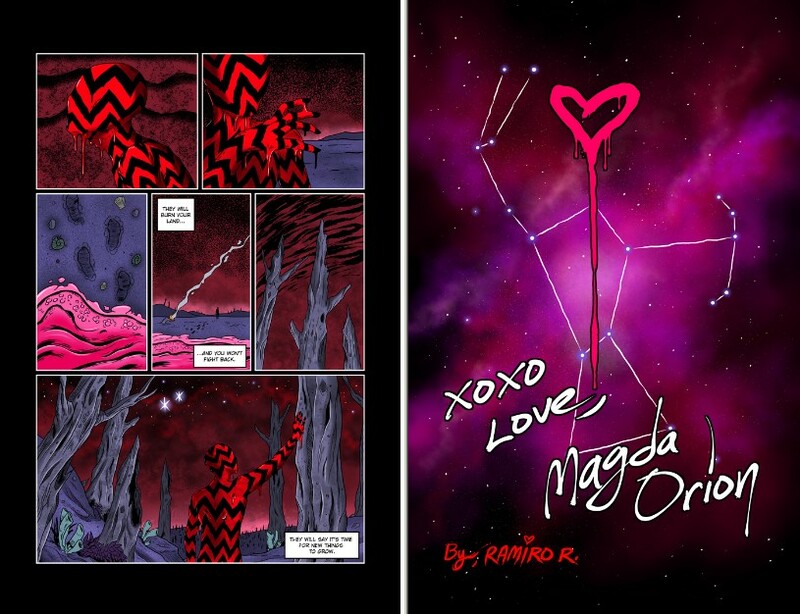 My next comic, XOXO Love, Magda Orion will be going up weekly, starting this Friday, on my Patreon. If you’re not already a patron, please consider signing up. For as low as $1/month, you’ll get access to all my comics before anyone else does. Plus, I post a lot of secret goodies JUST for patrons. And who doesn’t love feeling elite and exclusive, amirite? Check it out HERE. Thank you for reading!